To be considered for extra credit, go to codecademy.com and register for a free account. You will have 7 days from the time to register to complete this extra credit assignment. 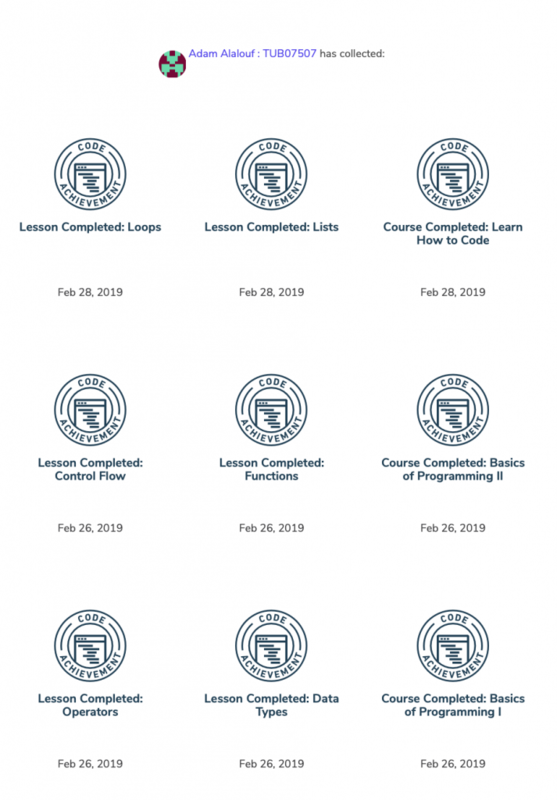 You will need to complete the learning paths Welcome to Codecademy and Learn How to Code. You need to complete all three. Then go to your profile and go to badges. You will see all of your achievements here. Take a screenshot of your badges and make sure your name is in the screenshot. Make the screenshot’s file name Lastname_Firstname_SC (Example: Bouikidis_Zois_SC).